I’ll help you build customer loyalty, and get free publicity by branding your product the way top sellers do. Grab a cup of coffee and enjoy your day, learning to make your fans market for you. A brand ideally means sustainable promise. Harley Davidson’s logo is cited to be the most often tattooed brand, and there’s a lot of reasoning to it. Their motorcycles for decades promise a lifestyle of adventure on top of a beautiful and well engineered roadster. On the opposite, as found in Branding Strategy Insider, advertised fast foods don’t look nearly as delicious in reality as their paper printed counterparts, failing to deliver the promise. Being able to match the expectations with reality will result in positive chatter about your product. John Jantch, marketing, digital technology coach and best-selling author is direct about it: “People trust the recommendation of a friend”. The thing is, no one will evangelize brands that feel fake or unreliable. Delivering the promise should be the first step in building brand awareness. Promises and reality don’t mix every time. People may reach out to your customer service and complain. Take an example from this Snapple ad, and keep your brand’s image simple. Don’t overdo. The reward is trust and loyalty, which are required to get evangelists. Snapple’s way of branding is the way to go! 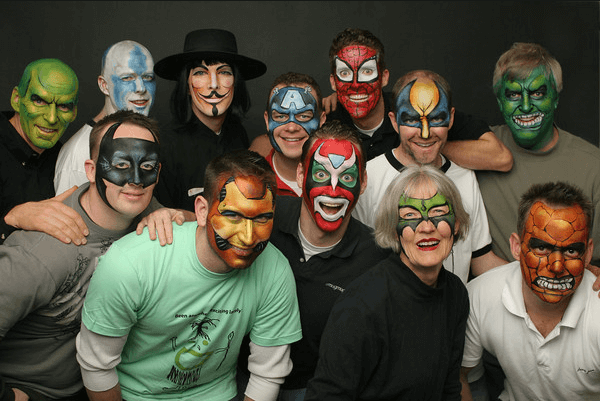 SmugMug’s help desk is serviced by super heroes. It’s a promise of superior quality with a pinch of fun. The company offers online photo albums and that’s exactly what people expect from such a product. Since they are friends because of similar interests, they are prone to recommend, thus raise brand awareness. SmugMug’s help desk is serviced by Super Heroes! The promise is outstanding service, which is great both for promotion, and retention. In addition, the media loves when customer service goes cool, and gives such brands free publicity! A brand evangelist is a person who attempts to build lots of support for a given promise in order to establish it as a standard in his network.. He will endorse your ideas through social media, and most probably address your target market. Recruiting someone like that is hard, but not impossible, and definitely worth the effort. Provided your brand delivers promises and keeps the product cool and simple, they will eventually show up. One of the mechanisms of evangelizing brands through social media is what Mashable calls the Interest Graph. Basically, friends share interests and tend to discuss them with others. Twitter makes it possible for anyone to reach within just seconds. An evangelist does this full time, day by day, free of charge. For brand managers delivering the promise can be very difficult, due to limited reporting capabilities. Measuring how many substitutes of Oreo’s can a vertical remember isn’t the way to go. Brand involvement is measured by person’s level of interest. Katie Paine, Social Media Expert, in her study on brand involvement, suggests what needs to be measured on which level, in order to understand growth of brand awareness online. Searchers are new customers who have interacted with your product for the first time. Lurkers are those who got intrigued, and are looking to learn more. Casuals know you, and sometimes talk about you. Actives will take lively interest in your doings, and Defenders will evangelize you along the way! As involvement level grows, reporting focus should be put less on raw page visits, and more on comments and networking. 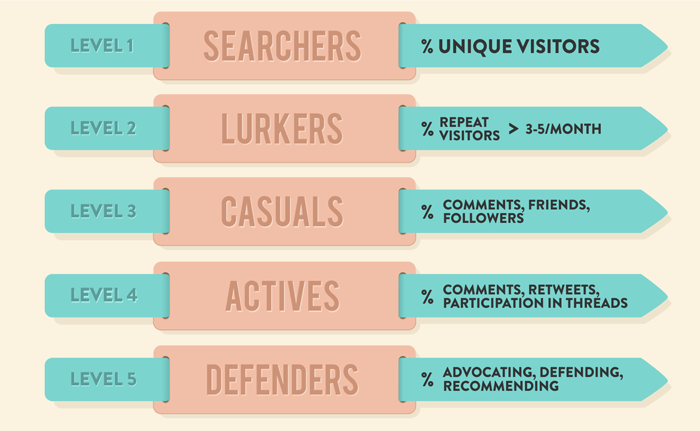 Growing involvement level should start with more visits, and end with networking and comments. Low level involvement applies to FMCG i.e. groceries. Awareness can make a huge difference in choices, since in highly competitive markets the brand is what tells customers that the product is worth their money. High-tech or luxury offerings on the other hand imply higher level involvement. Customers build opinions and feelings around designer clothes, cars or smartphones. The iPhone vs BlackBerry duel is not about functionality, but about evangelism. CBC announces that Canadian sales of iPhone have beaten RIM’s (originating from Canada!) devices and there’s no stop to discussion on Twitter! Up to date there is no effective method of measuring the overall awareness so it is key to keep customers involved on all levels with consistency in promises and reality. Let’s face it, a lot of products are nearly indistinguishable. Take Pepsi and Coca-Cola for instance. People do notice slight differences in flavour and sweetness, but at the end of the day, they’re just evangelists of one or the other. Today’s technology makes it tremendously easy to copy a quality product. It is said, that Twitter can be reproduced within a week. The attempt is not made however, due to uncertainty of delivering the same promise as Twitter does. To survive in today’s economy, you must choose to brand your services and ensure to always deliver the promise.